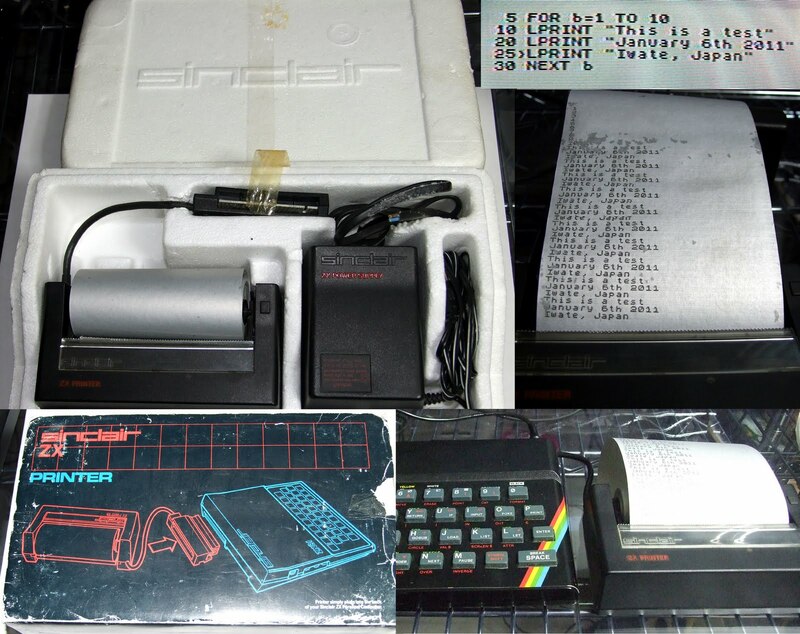 Getting a Sinclair ZX Spectrum up and running in Japan is not nearly as complicated as it may seem, despite the differences between the UK and Japan in terms of television signals and mains voltage supply. To Japan I brought two Spectrum 48K machines and a 128K machine as seen on top. I also have a 128K +2 machine. I can use its PSU for all three machines, with original UK/Ireland mains plug attached as shown. I didn't bring my +3 over yet, though it needs an entirely different power supply (as do the +2A and +2B). The +2's PSU is rated: DC 9V, 2.1A, Centre Negative. 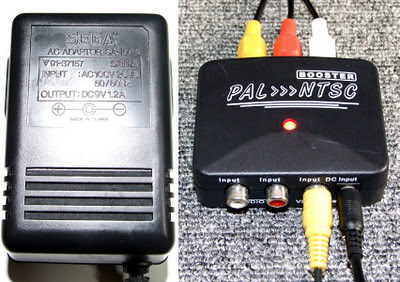 The input is AC 220-240V, 50Hz. Local alternatives to the original PSU are preferable, since you won't need a step-up transformer. I use a generic PSU capable of supplying 2A, which I use to power all three machines (48K, 128K, +2). I bought the PSU from the US (I couldn't find one in Japan surprisingly) so it doesn't need a converter for the pins. 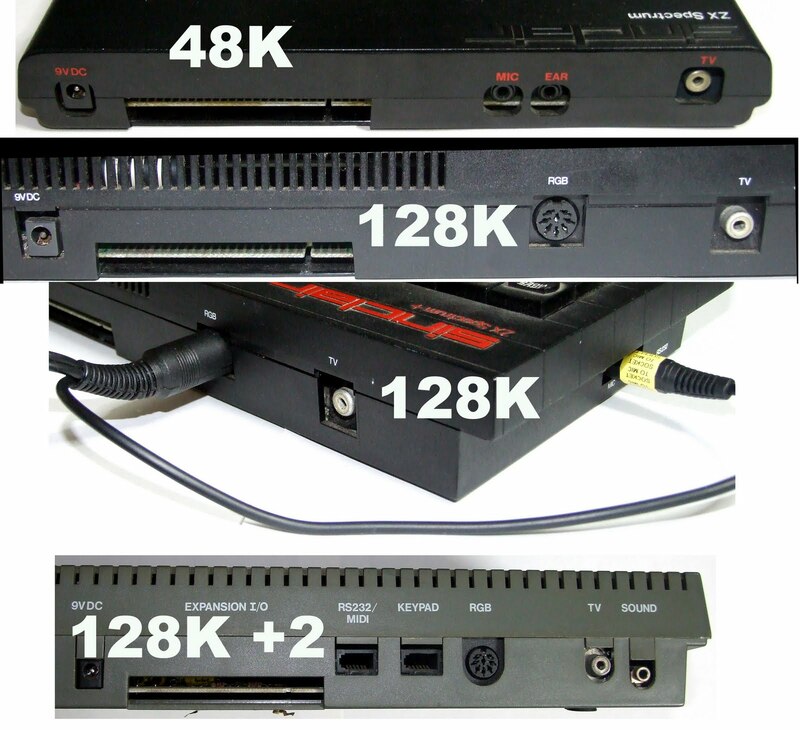 You can also make use of the original Sega Mega Drive PSU, or similar, if you are using a 48K Spectrum (the Mega Drive 2 PSU is different, please check the specifications match those above). My two 48K Spectrums draw about 600mA when no peripherals are attached, so a generic PSU of 1A would suffice in this instance. The Mega Drive PSU can supply up to 1.2A so should be fine for a 48K Spectrum with for example a DivIDE attached. On the right you can see the cheap PAL to NTSC converter I use. It only adds colour to the picture, it doesn't affect the frequency at all. The original Spectrum produces its sound internally, hence the lack of audio input cables seen above. The 128K and +2 machines produce audio through the television, though you may wish to connect directly to a pair of computer speakers. In order to get a picture on modern televisions, in Japan or anywhere else, you'll need to carry out a simple operation as detailed on Womble's blog. It's really very simple and only takes a few minutes, as long as you have a soldering iron and some wire. If using the original PSU a step-up transformer is required, they're available in K's Denki and the like. In my case I use such a transformer for the Data Recorder. On the 128K and +2 machines I use the RGB output in combination with the audio socket. However, the +2 machine only produces a black and white picture for some reason, so I tend not to use it. Loading games from cassette is obviously straightforward. I brought my Datacorder from home and I can load from that with no difficulties (except for some reason Joe Blade, this will only load on the +2). 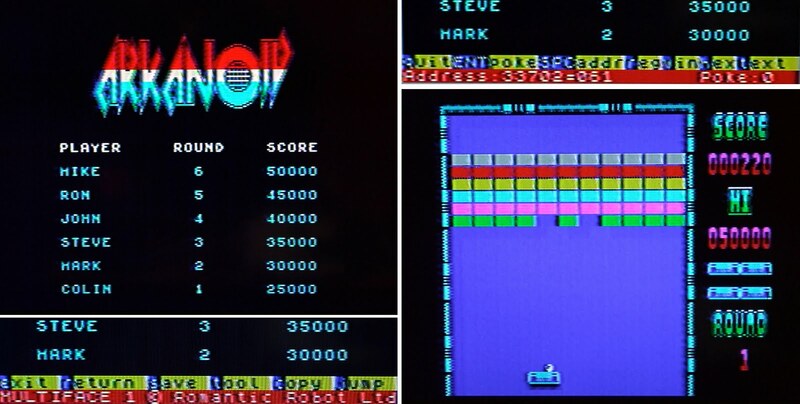 The screenshots above show the machine working on a modern television (100Hz). 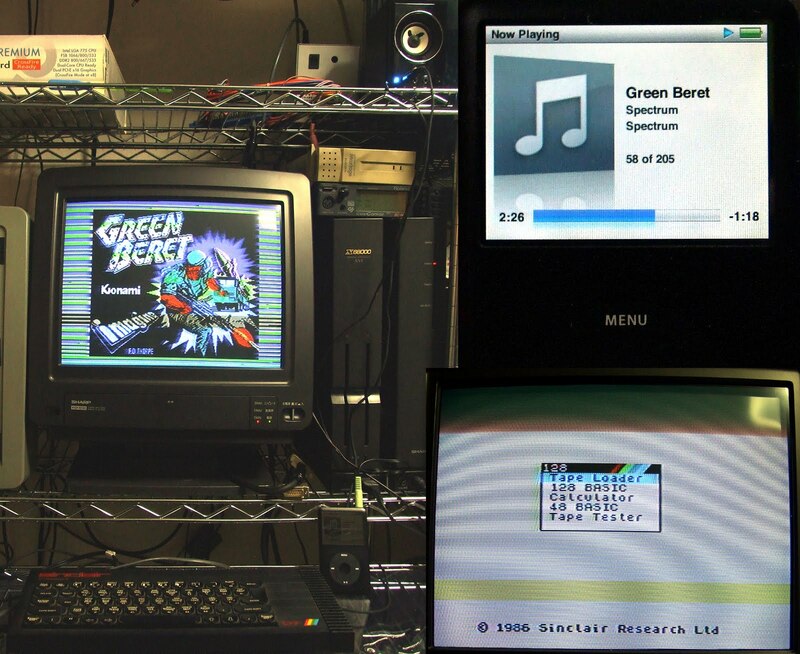 To save your cassettes, you can also load from iPod using WAV files or iPhone/iPad/iPod touch using TZX files. The output volume from the iPod itself is too low, so I amplify it through standard PC speakers. 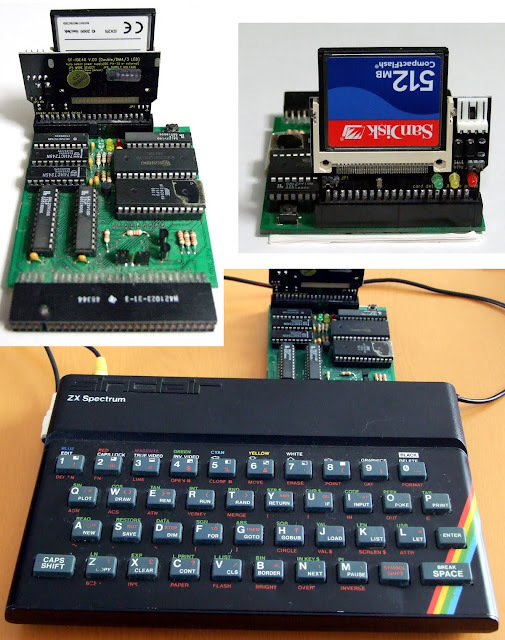 For loading TZX files, you can use the Speccy Tape utility. This doesn't require amplification but 128K games generally don't load, as least not the ones I've tried. The monitor shown above is a Sharp CZ-614D (X68000) monitor which has a Vertical Hold Adjustment knob, so it can display the 50Hz signal relatively well though not perfectly. The 100Hz television's picture is a lot better. A while back I got myself a DivIDE interface and I use that when I can. Some games, especially multiload games, don't work so I load them from tape or WAV. 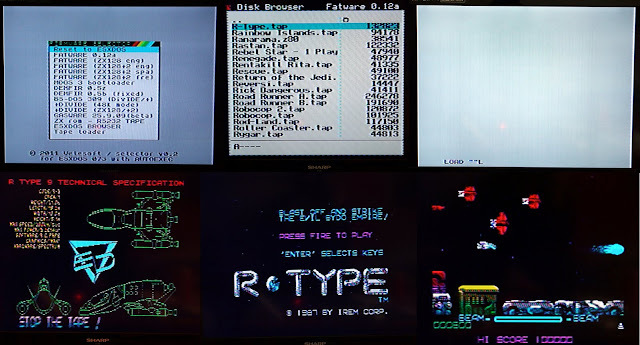 Shown above is R-Type, which loads each level up automatically no problem. 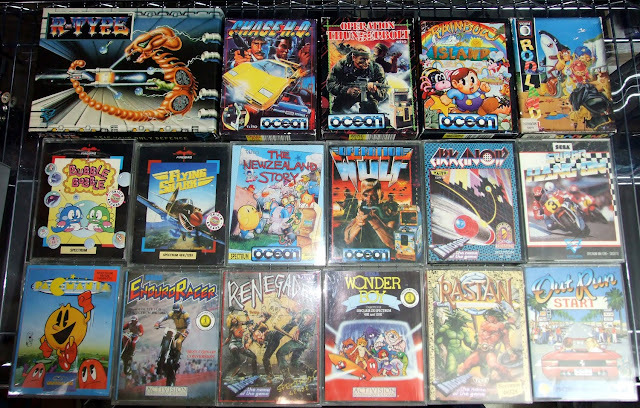 Here's a look at some more Spectrum hardware. On the left is the original box, nothing too amazing... The second picture on the top shows the Currah microSpeech, the Multiface and two joystick port add-ons. The next pictures just show them connected. On the bottom you can see a joystick (very poor quality, indeed I've never used a joystick with a Spectrum) and my aforementioned Datacorder, showing the Ear and Mic connections at the back. Here's an example of the Multiface in action: POKEing Arkanoid for infinite lives.